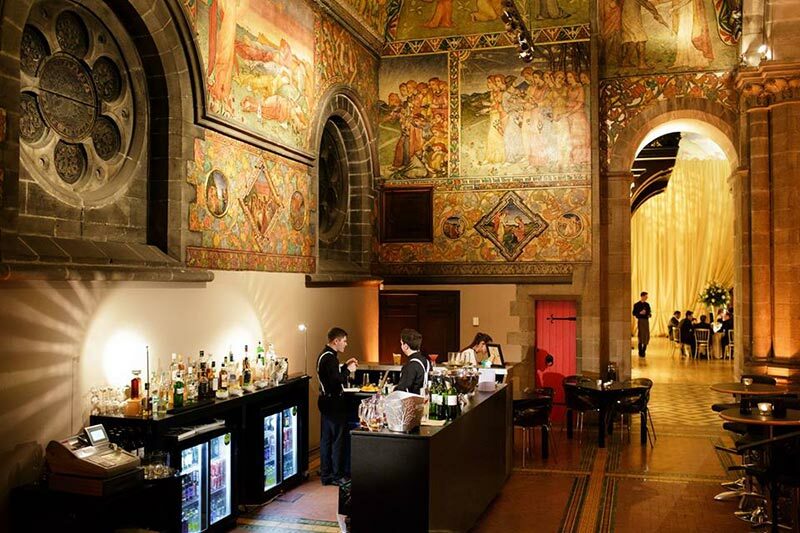 If you are looking for genuinely unique wedding venues in Scotland, then look no further than Mansfield Traquair. 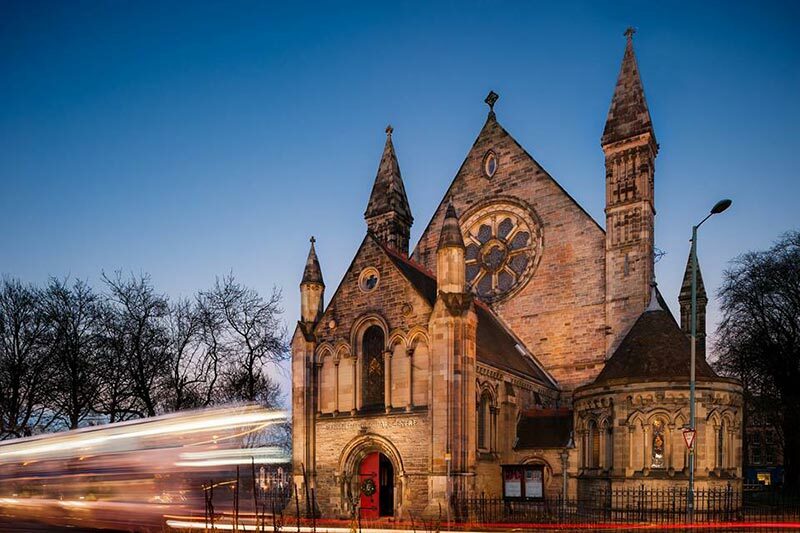 Situated right in the heart of our capital city, this 19th century church is often referred to as Edinburgh’s Sistine Chapel. In addition to having space for even the largest ceremonies and receptions, a recent and comprehensive restoration of the property has added all 21st century essentials. And the interior is so spectacular, it really has to be seen to be believed. Let’s take a closer look at what a Mansfield Traquair wedding would be like. 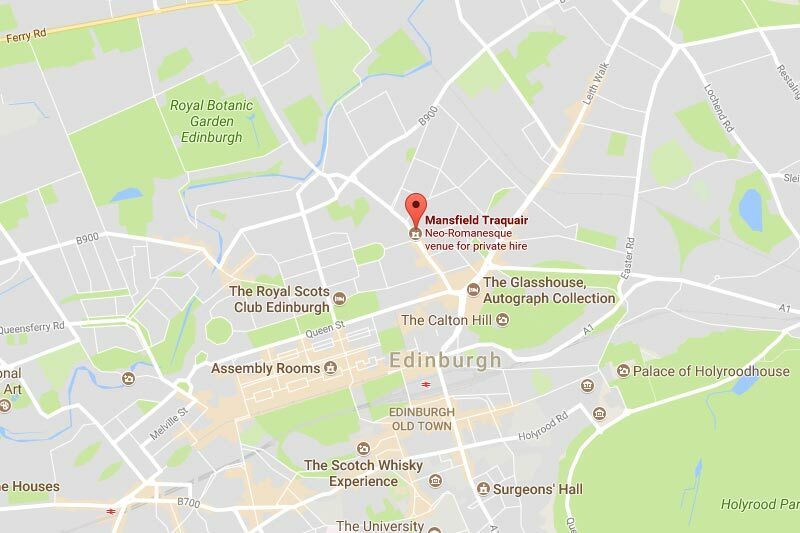 We really are spoilt for choice when it comes to unique wedding venues in Edinburgh, with Mansfield Traquair located on the eastern edge of the New Town. You can easily walk from Edinburgh’s Waverley Station in less than 10 minutes. And given the difficulty of finding a parking space in the city centre, a train might be the best option for your guests. There are 2 parking spaces available at the venue, which will undoubtedly come in handy. However the next best choice is on street parking in the surrounding area. Another possibility would be to put on coach transportation for your guests. And there is a convenient place for large vehicles to stop and let people off. 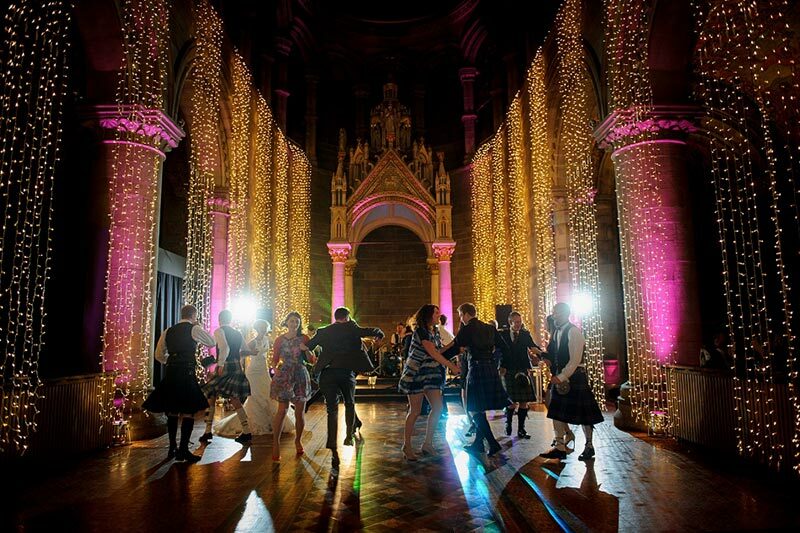 Mansfield Traquair is an exclusive use wedding venue, so you will have absolute privacy for the duration of your day. It’s also in a fairly busy part of the city, so expect some hustle and bustle when you are outside the property. There is a nice little garden running alongside the church, which will give you a small amount of picturesque green space. But it’s the spectacular interiors people choose this place for, and they are quite frankly second to none. The foundation stone for Mansfield Traquair was laid in 1873, with the beautiful painted murals added by Phoebe Anna Traquair in 1893. Sadly in the late 20th century the building fell into disrepair, but was eventually rescued with restoration being completed in 2005. Modern technology now sits alongside the Grand Neo Romanesque architecture, with fabulous soaring ceilings and beautifully intriguing murals. You will get access the week before your wedding for a rehearsal and to go over setup. And your personal items don’t need to be collected until the day after. There’s also a dedicated wedding coordinator, who you can request be present on the day. As you can imagine there is no accommodation inside the church. However there is a private room which can be used by the bride and groom for storing gifts and perhaps changing clothes. 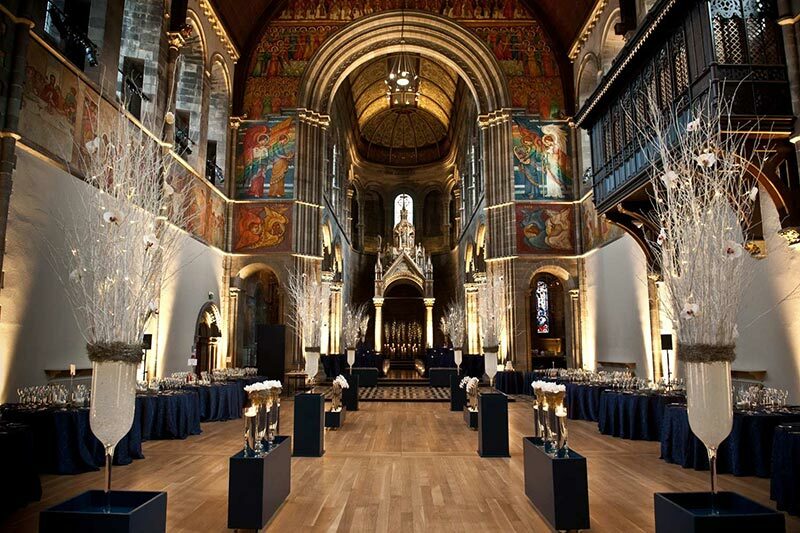 Mansfield Traquair is without question one of the most spectacular wedding venues in Scotland. Your ceremony will be held under the Chancel Arch, with the incredible ceiling and painted murals looking down on you. The ancient stone architecture gives a nice historical atmosphere, and the high tech modern lights create a real sense of occasion. You can comfortably seat up to 120 people in this space, however if you expand out into the hall behind this capacity could easily be doubled. If the weather is pleasant on the day of your wedding, your drinks reception could be had outside in Mansfield Traquair’s little private garden. Failing that the beautiful Nave is an ideal indoor alternative. Your dinner reception would then take place in the Nave too, although this is a very large space and can be sectioned off depending on guest numbers. The size offers a lot of versatility, and at its full capacity it can seat 250 guests comfortably, whilst still leaving a separate dance floor. Included in your wedding package are: tables, chairs, linen, crockery, cutlery, and glassware. 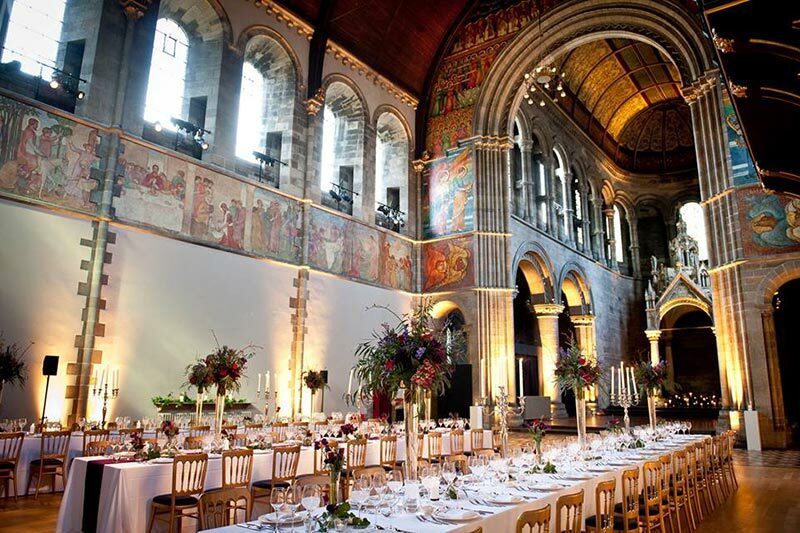 The catering is outsourced to Heritage Portfolio at Mansfield Traquair, as is all of the wedding coordination. Heritage Portfolio are an award winning supplier, who’s ethos is to seek out the finest produce and quality ingredients. You will be invited in for a menu tasting session 4 months prior to your wedding, where you will get to select your wedding breakfast. And at this point you can custom build around special dietary requirements. A full bar setup is provided, and your guests can pay by either cash or card. You can also bring your own booze, for a corkage fee of £18 per person. There is a separate space for a dance floor at Mansfield Traquair, which means you won’t need to move any tables around. A band can fit in no problem, and the high tech lights can create the perfect atmosphere. In terms of noise there is no sound limiter in place, and despite being in a built up area you can get a late extension until 1am. 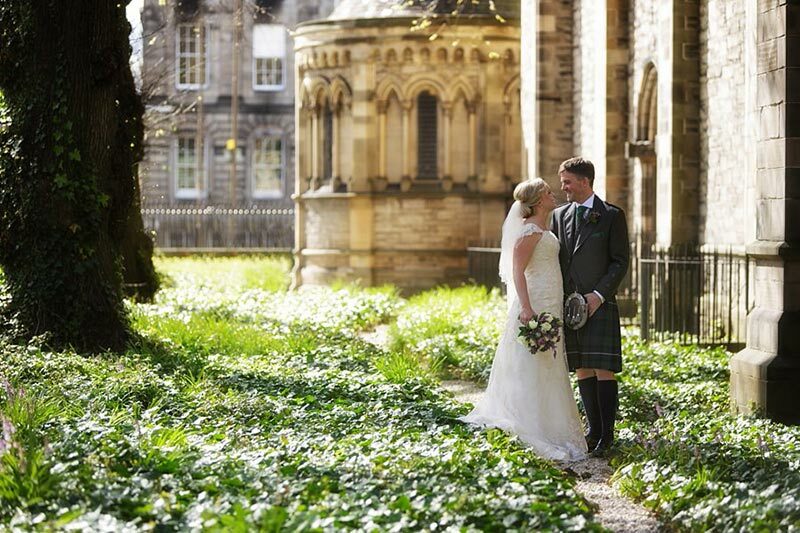 When it comes to your wedding photos, the little private garden at Mansfield Traquair will definitely come in handy. It’s a nice place to slip away to, and capture some images with greenery and natural light. In terms of shooting indoors, make sure you choose a wedding photographer who works well with a flash. The interiors are fabulous for creating an atmosphere, however they can be a little bit dark. 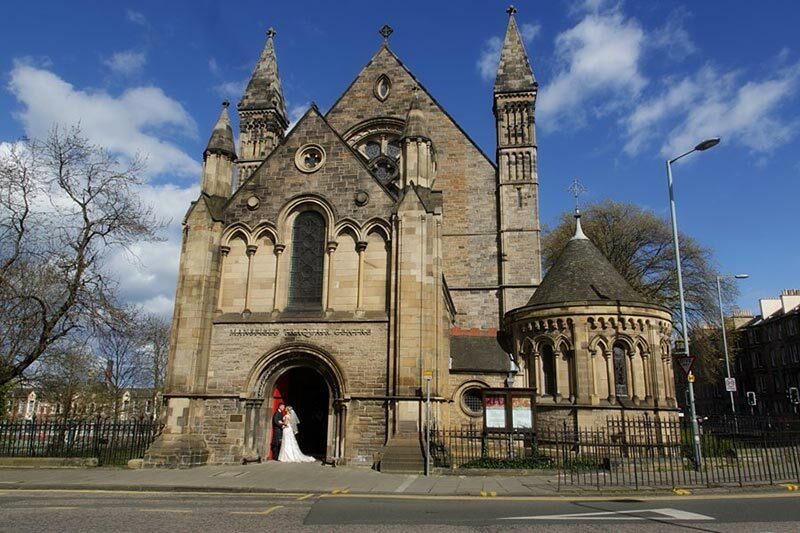 For accurate Mansfield Traquair wedding prices, you should contact the venue directly. 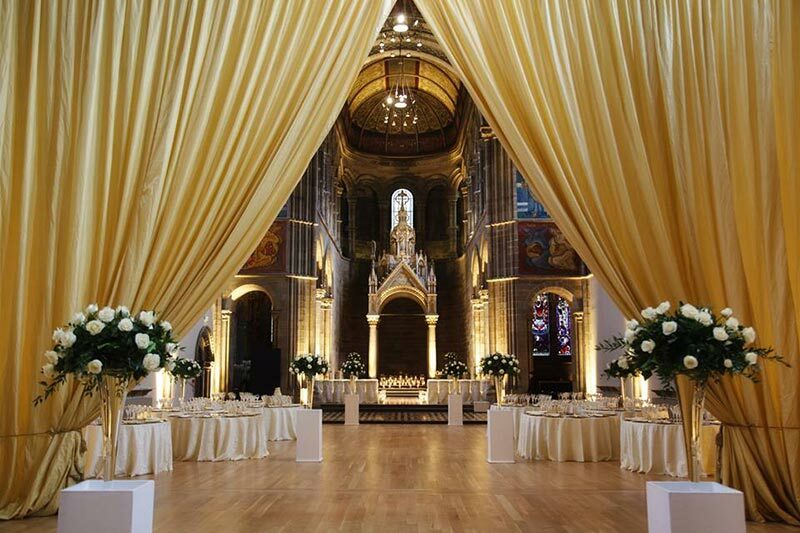 Mansfield Traquair (ceremony & reception), price £4,800. Wedding Breakfast, prices from £115 per person (includes canapes & champagne, 3 course meal & wine). 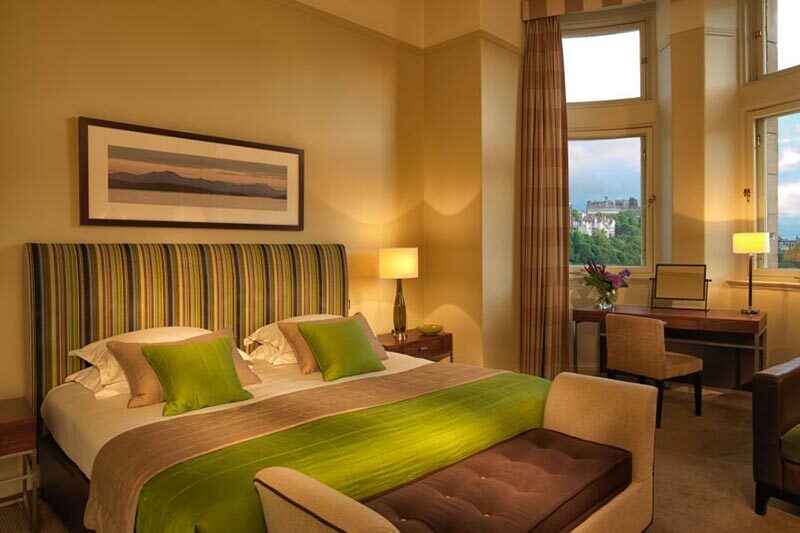 Corkage, price £18 per person (from drinks reception to dinner reception). 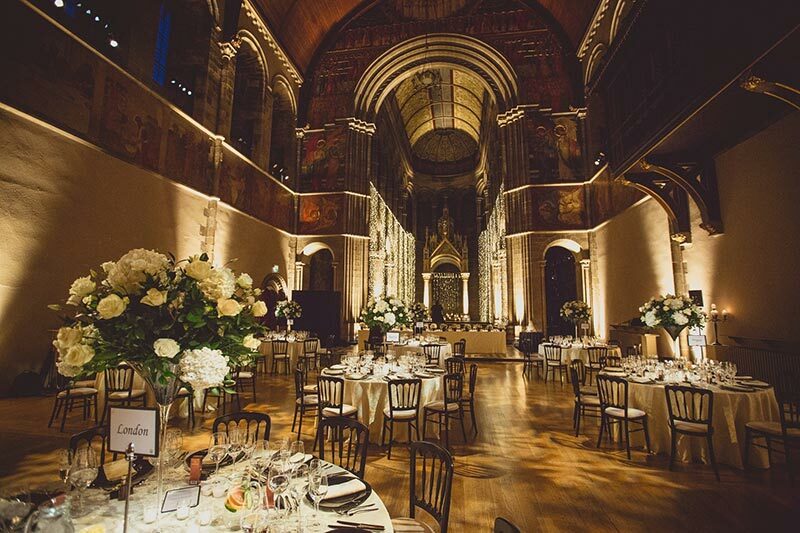 So those are my 10 reasons you should consider Mansfield Traquair as your wedding venue. 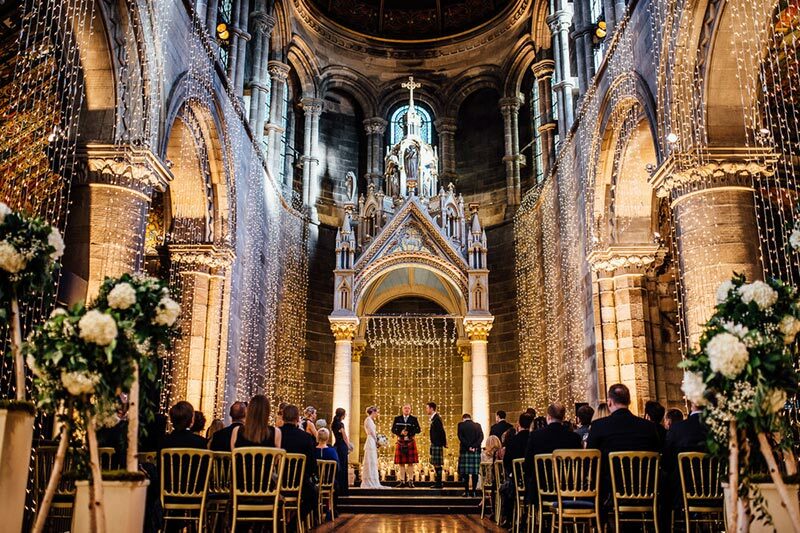 However if you are looking for Edinburgh’s Sistine Chapel, conveniently located in the New Town, with spectacular spaces for ceremonies and receptions, and high quality catering; then Mansfield Traquair just might be the place for you. You can also find Mansfield Traquair’s website here.